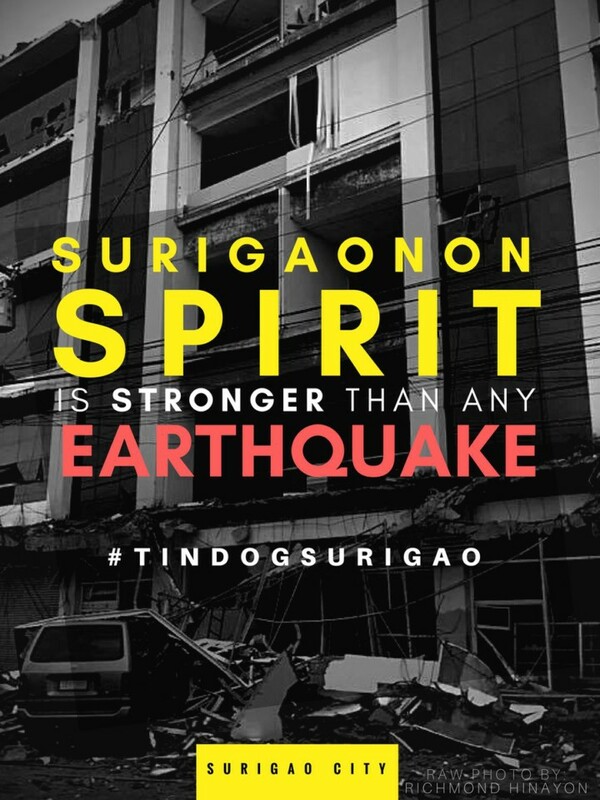 Survivors of the Surigao earthquake have been warned to ensure their homes are “sturdy” before returning amid continuing aftershocks. The confirmed death toll of the quake has now been raised to eight, but more fatalities are expected to be discovered over the coming days. Residents of Surigao del Norte province, gathered in a local gymnasium for a visit by President Duterte were terrified by a powerful aftershock today — causing many of those present to scream in terror. The quake, which measured 6.7 on the richter scale struck on Friday evening. As well as the eight confirmed deaths, more than 200 were injured and about 1,000 houses wrecked. The main provincial airport is also out of service due to damage to the runway. ALSO READ: Messenger from the deep: Is beached fish a warning of coming earthquake? Officials have appealed for skilled volunteers to help assess the stability of damaged schools, hospitals, malls, hotels and other buildings, especially in Surigao City, which has been placed under a “state of calamity”. Power has been restored to some parts of the quake-affected areas, but many neighbourhoods remain cut off. Romina Marasigan, from the National Disaster Risk Reduction and Management Council, said: “Our call is ‘do not return hastily after the strong quake’. We have to ensure that our residences are safe. Among the structures trashed by the earthquake were 12 schools, six bridges and several major shopping malls. There are also concerns that the quake has damaged water-supply infrastructure. President Duterte’s visit to the stricken city was delayed by more than three hours due to the damage done to the local airport’s runway. When he arrived — soon after the assembled locals had been left terrified by the powerful aftershock — he expressed his sympathy and promised two billion pesos of financial assistance. The last major earthquake to strike the Surigao region — which is currently at the centre of clashes with a resurgent communist NPA — was in 1879. More recently, a magnitude 7.7 quake killed nearly 2,000 people on the northern island of Luzon in 1990. Following the quake, the NPA’s guerrilla forces declared an indefinite cease-fire in quake-hit areas. “Rest assured we will not do any harm to the military as long as they will not come to our areas,” said ‘Comrade Oto’, a regional rebel commander.